What is Carville’s Food and Beverage Track History? Over the last ten years, Carville has been increasing its support to the food and beverage industry and now supply directly to a number of clients in Europe and the USA including Pentair Haffmans and Foss. We also participated at Drinktec 2017, the leading event for this market which is run every four years in Munich. Precision machined Acrylic (Plexiglas) is widely used in laboratory equipment and instrumentation for off-line testing of food and beverage. A classic example is in the Haffmans CO2/O2 Gehaltemeter which combines the internationally standardised determination of the dissolved CO2 content based on Henry’s Law, with a highly accurate Dissolved Oxygen (DO) measurement. The manufacturing of the product requires a mix of high precision plastic machining, bonding, fabrication and polishing to deliver this complex product which is an essential tool for many brewers around the world. 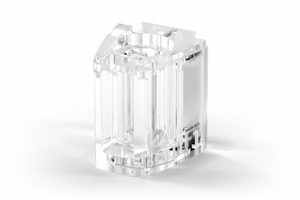 The superior optical properties of Acrylic make it ideal for optical oxygen measurement applications as well as general visibility of sample fill levels and sample quality. Custom made diffusion bonded plastic manifolds are also used in wine, beer and soft drinks analysis systems to optically assess properties such as purity, alcohol content and spoilage. For dairy products, measurement principles such as Near Infra-Red (NIR) and Fourier-Transform Infrared spectroscopy (FTIR) make use of Carville optical manifolds to assess parameters such as fat, protein, acidity, glucose and Urea. For food bacterial analysis, flow cytometry is used for bacteria and cell counting for products such as raw milk. Carville’s micro-fluidics manifolds in both Acrylic (PMMA) and Ultem (PEI) materials are an ideal solution for many of these applications. These often use the same measurement principles as off-line solutions, but are engineered to provide real time or close to real time analysis during the production process. 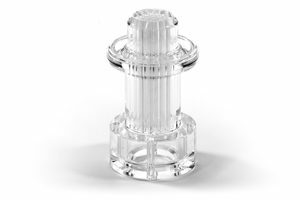 Carville’s precision machined, optically clear components can be used as a window into the fluids for either visual or optical sensor analysis in real time. These are sometimes used as spacers between the conventional stainless steel tubing to provide the visibility.